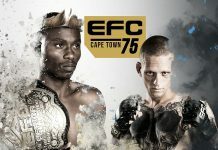 EFC 71 takes place on Saturday 23 June at Carnival City, Johannesburg. 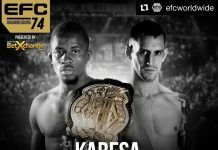 Keith Ho BetXchange proudly presents EFC 71 and as always is offering great betting odds. Below we briefly preview the main bouts together with the full fight card. Champion Andrew ‘One Gear’ van Zyl puts his title on the line when he takes on light heavyweight champion Dalcha Lungiambula. 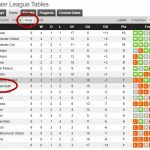 Van Zyl has enjoyed 19 wins over the years and only 3 losses. A strong contender when it comes to submissions and striking. Lungiambula on the other hand is strongest on takedowns and is a quick and focused fighter. With 8 wins and only 1 loss Lungiambula will be hungry for the title and to prove his worth on the night. Prediction: Experience counts for a lot in this one, Van Zyl will more than likely retain his title. “Zulu boy” Zulu is known for his striking prowess and has a natural talent for facing challenge in the Hexagon. 8 wins and 2 losses in his career have prepared him for a good fight in EFC 71. His Brazilian opponent, “Popeye” Alves on the other hand is strong in both submission and striking. The two powerful fighters will come head to head in the Hexagon and it’s sure to be a nail-biter.